Ottawa’s freeze-thaw weather patterns often create sparkling icicles that look magical. But, they actually identify a dangerous — and potentially costly — hazard, an ice dam. Imagine coming home from work to find water streaming down your interior walls and soaking into the hardwood of your foyer. What would you do? After frantically tracing the flow, you would find that a pool of water had formed behind a thick ridge of ice in the gutters – hence the term ice dam. Snow on the roof had been melted by heat loss, causing water to collect behind the dam. And, the water was seeping through the shingles and into the house exposing it to significant potential damages. After calling three roofing companies and getting no answer, you climb up a ladder to the second level, stand on a stool at a precarious angle, hold the gutter for support with one hand and use the other to smash the ice with a hammer. Eventually, you clear the dam but not before almost sliding off the roof … twice. Luckily, in this hypothetical case, there was only minor water damage, but the do-it-yourself approach was very risky and you did bend the gutter. Homeowners experiencing the effects of an ice dam — or those worried about a leak — should hire a professional roofing company to remove any ice buildup and assess for further preventive measures. Safe removal of snow and ice should be accomplished by qualified technicians, who are fully trained in fall-arrest prevention, use the appropriate safety gear and equipment and have full insurance coverage. Instead of using hammers, chisels and salt, they will steam away the ice and remove excess snow with rakes designed for the purpose. 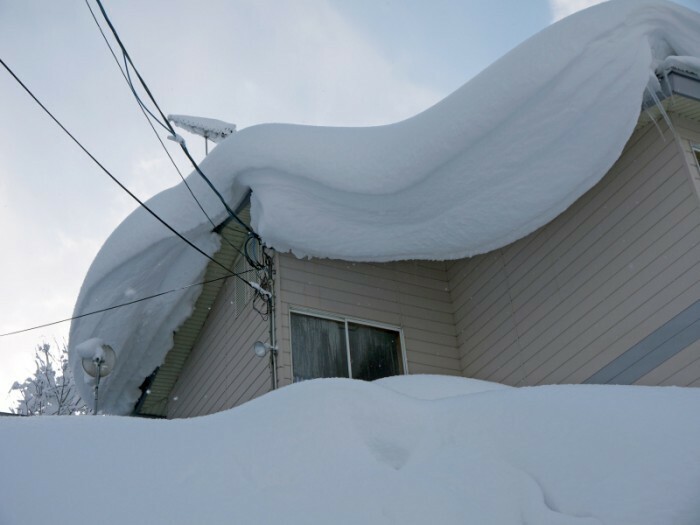 To prevent ice dams, you must keep heat from reaching the roof, so the snow won’t melt in the first place. That goal is accomplished by insulating and ventilating the attic space to maintain the roof surface at, or near, outdoor temperatures. Any breach into the attic from the heated living space needs to be insulated. For homes with finished attics, this may involve opening up the ceiling. Periodically check your roof for snow coverage because the snow’s weight alone, which should not exceed 20 to 25 lbs/sq ft, can cause damage. Depending on moisture content, snow weighs about 1.25 lbs/sq ft for each inch of depth, so 20 inches is a considerable burden. And, if you see icicles, investigate further. Professional roofers can provide accurate measurements, remediation or maintenance on a scheduled or as-needed basis. The post Why Homeowners Should Beware of Icicles appeared first on Team Realty.